Munich - Robert Lewandowski and Arjen Robben may have stolen the limelight by each scoring a brace in FC Bayern München’s 4-0 win over Hannover 96 on Matchday 7, but Dante’s display at the heart of defence was equally worthy of praise. The Brazilian centre-back is well on the way to regaining top form and as such is once again a crucial part of Pep Guardiola’s starting XI. Speaking exclusively to bundesliga.com, the 30-year-old outlines his aims for the season, as well as giving his opinion on the club’s summer recruits and current form. bundesliga.com:, how would you sum up the first seven Bundesliga matchdays? Dante: We’re finding our rhythm more with each game and we're improving every week. I have the feeling that we’re getting better all the time. We’re not conceding many goals and we’re top of the league without having reached our peak yet. We’re aiming to keep making progress after the international break and to cement our position at the top. bundesliga.com: Was the Hannover game Bayern’s best performance so far this season? Dante: Yes and they’re getting better all the time. Medhi  is adapting increasingly well and there’s nothing you can really say about Robert  because everyone knows he’s a world-class striker. Xabi  is also in that bracket and he’s found his place in the side really quickly. He’s made us that bit better; all of the new signings have improved us. bundesliga.com: Bayern’s next opponents are Werder Bremen at home. Will it be a similar game to the one against Hannover? Dante: It could well be. The important thing will be to take the lead early because that makes things easier, but if that doesn’t work out then we’ll try and stay patient. Bremen are often hard to beat because they fight right up until the final whistle. We’ll need to play as a unit again and maintain our concentration. If we do then we’ll continue our winning streak. bundesliga.com: Following the 2014 FIFA World Cup you only had a very brief pre-season, but if the Hannover game was anything to go by you look to have recovered your form. Are you back at 100 per cent yet? Dante: I’m well on the way to getting back into top shape. 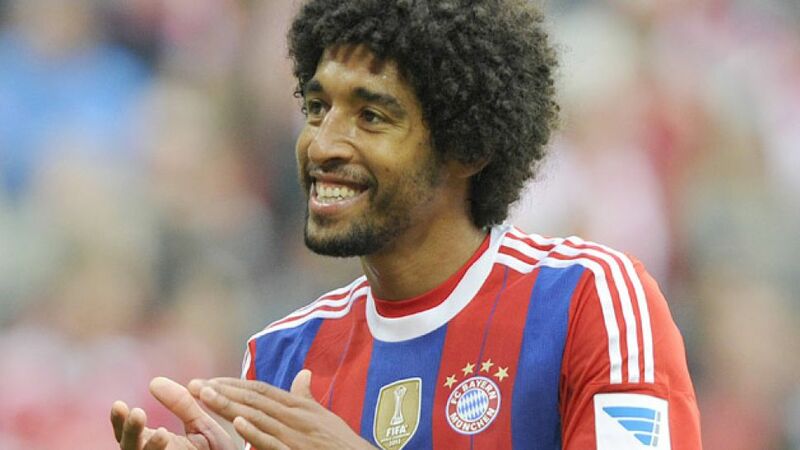 I have a clear aim in mind: I want to be the best Dante Bayern have ever seen. This is my third season at Bayern and I want to keep improving and give it my all. I always want to do my best in every game, regardless of whether it’s in the Bundesliga, the DFB Cup or the Champions League, because that’s how you maintain the trust of the coaching staff and your team-mates. bundesliga.com: Let us talk briefly about . He has been injured for several weeks now - should we be worried about him? Dante: Not at all. Franck is a player with a strong character and he never gives up. He’s had a few low points in his life but he’s always got back on his feet again. I’m certain he’ll come back strongly. Through sheer will power he’s had a fantastic career, so you definitely don’t need to be worried about him.